Flip a coin. If heads, you will be at the top of the pyramid. If not, try a different move. Put all Dance Moms names in a hat. Pull one out randomly. 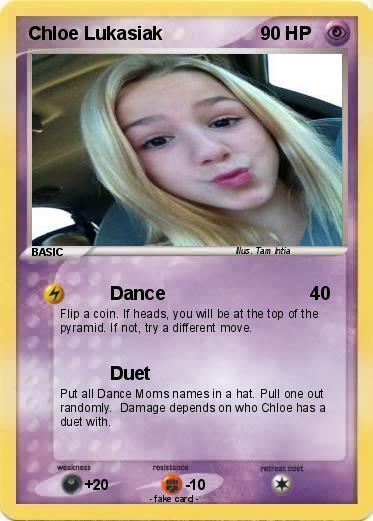 Damage depends on who Chloe has a duet with.